The beach of Barra da Tijuca is the main beach of the region of Barra da Tijuca and extends along the Sernambetiba avenue to the Recreio dos Bandeirantes. It is the longest beach in the state of Rio de Janeiro, eighteen kilometers long. From Ayrton Senna Avenue the beach does not have a boardwalk, because it is a region of environmental preservation. It has strong, tubular and very good waves for Surfing and Bodyboarding. In it several stages of Brazilian and even world championships like WT are realized. Its sands are white and thin. Recreio dos Bandeirantes is a noble neighborhood in the West Zone of the city of Rio de Janeiro. It is one of the youngest districts of the city, located in the administrative region of Barra da Tijuca. It has a territorial area of ​​30,655 km² and a population of 82,240 inhabitants, divided into 38,705 households, known for environmentalism, organization, security, beaches and the practice of water sports. Grumari beach is a beach in the Barra da Tijuca region, in the western part of the city of Rio de Janeiro, Brazil. Approximately 2.5 km long, it is located about 20 km from the center of Barra. Grumari is not a residential area, being part of an environmental reserve, along with Prainha (a great stronghold of the Rio surfing). recreation Area. The New York City Center, attached to it, has 18 movie theaters as well as gastronomy and services. Both and together with its Business Center and the neighboring Village Mall, form the largest multipurpose complex in the country. The most elegant shopping mall in Barra da Tijuca is 5 km from the Americas Gaivota Hotel and has the most celebrated stores in the national and international consumption scene, as well as a bookstore, excellent restaurants, movie theaters and the modern Bradesco Theater. At 3 Km from the Americas Gaivota Hotel, the mall, besides its shops, cinemas and restaurants, is endowed with services such as offices, doctors' offices, travel agencies and etc distributed in its blocks and large spaces in the open giving a "lifestyle" to this shopping center. Located 5 km from the hotel, it is an option for those who want a shopping with good services, gastronomy and leisure. Located just 1 km from the hotel, it is the closest shopping mall to the Americas Gaivota Hotel and acts as a meeting point and shopping center in Jardim Oceânico. One of the largest urban parks in the world, it is located in the heart of the wonderful city and a few miles from the Americas Gaivota Hotel. It has an enormous biodiversity of Brazilian fauna and flora and houses iconic points of the Carioca tourism such as the statue of Christ the Redeemer, Park Lage, the Chinese View and Pedra da Gávea. It is bordered by paved roads accessible by car and responsible for the most spectacular views of the city. A few minutes from the Americas Gaivota Hotel, from the neighboring neighborhood of São Conrado, it is possible to have access to the paths that take visitors to Pedra Bonita and Pedra da Gávea, from where it is possible to walk along trails, climb and even jump delta wing through schedules. In addition, for the adventurous and brave, it is worth to face the difficulty of climbing and have a breathtaking view of Barra da Tijuca, São Conrado and much of the south of Rio de Janeiro from the top of Pedra da Gávea. The beginning of Barra da Tijuca beach is known as Pepê Beach in honor of a former surfer and free flight practitioner who had a booth / kiosk at this point on the waterfront and became a point for surfers and sports lovers in general from the 80's to the present. At this point of the beach that is only four blocks from the Americas Gaivota Hotel, it is possible to enjoy and practice some water sports such as surf and kite surfing, besides enjoying the beach with an extensive stretch of sand, filled with trendy kiosks and cycling by the local bike path to the pier between the beginning of the beach and the mouth of the Lagoa da Tijuca canal. 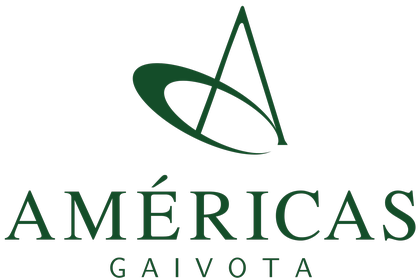 The Américas Gaivota Hotel is located in the initial region of Barra da Tijuca, called Jardim OcÃ © anico, and its main avenues concentrate a significant number of bars and restaurants, which became the Gastronomic Pole of Jardim Oceânico . Avenida Olegário Maciel, one block from the hotel, concentrates the most funky and diverse bars for all tastes, as well as utilitarian services, while on Avenida Érico Veríssimo are the celebrated restaurants that have installed their branches in Barra da Tijuca in recent years.